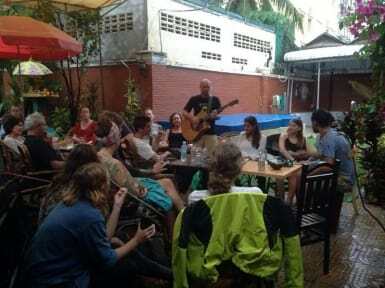 The Billabong Guesthouse i Kampot, Cambodja: Reservér nu! 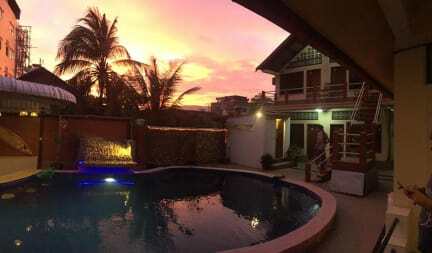 Featuring free WiFi throughout the property, The Billabong Guesthouse offers accommodation in Kampot, 2km near Bokor Mountain. The guest house has a year-round outdoor pool with a swim-up bar. Guests can enjoy a meal at the restaurant and free private parking on site. Certain rooms have a seating area to relax in after a busy day. The rooms include a private bathroom fitted with a bath or shower. A TV is available. Our hotel has both Fan and AC fitted rooms. The Reception is opened from 7am to 9pm. Our guesthouse also offers bike hire, VISA/Passport service and bus tickets.